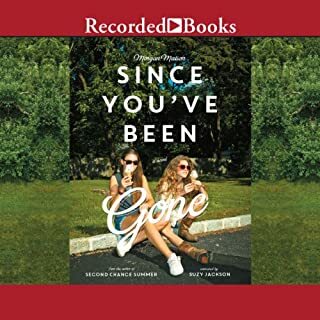 This book I had in my Audible library, it had been sitting there for quite some time and I thought that it was about time I listened to it. It didn't take long for me to get hooked into the story, and from then I listened to it daily just to find out what was going to happen. I have only read one book from Morgan Matson previously and I really enjoyed it so I was looking forward getting into it. 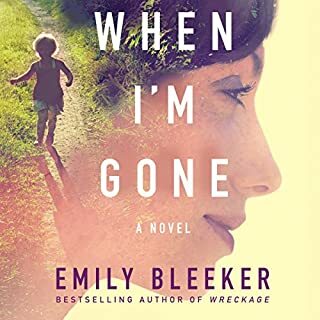 Emily goes to her best friend's house at the beginning of the summer holidays to find that she was gone without a trace, with no explanation. All Emily had was a to-do list of things that seemed impossible and a whole summer without her friend. Slowly, Emily made new friends as she tried to make her way through the list. I couldn't get enough of the plot. The relationships that evolved in that summer between Emily, Frank, Collins and Dawn was something that I had always wanted as a teenager, a small really tight group of people who loved spending time with each other. I really liked the idea of the list. Having Emily go through and do a whole number of things that she wouldn't normally do, it made her a stronger person and helped her reach out to new people and form new friendships. I really connected with Emily, I felt her sadness when her friend left, and her determination to finish the list. I felt proud of her when she conquered fears and heartbroken when she did. The narrator of this book was great. Her voice was exciting and changed with every new character. I definitely didn't get bored listening to her, which I find so important in an audiobook! 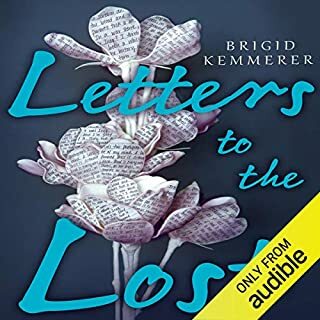 If you enjoy contemporary romance books, I highly recommend that you pick this one up, I am sure that you are going to love it as much as I did! 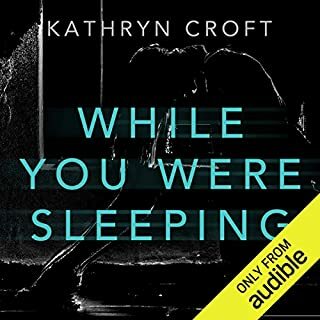 While You Were Sleeping by Katherine Croft was on my Audible shelf for a while, I am really glad that I got around to listening to it. This is my first book by Kathryn Croft, and I am just sorry that it has taken me so long to discover her work! From the get go I was involved in the story. How could someone wake up in bed next to a man and not remember what happened..especially when that man turns out to have been stabbed to death. Of course I wanted to know what happened, so extra points for starting off strong. As the story evolved, I had a number of suspects in my head, but as usual I was completely off the mark with who the actual killer was. It was a complete shock to find out who did it, and it did not come to light until the third last chapter, which was really great! 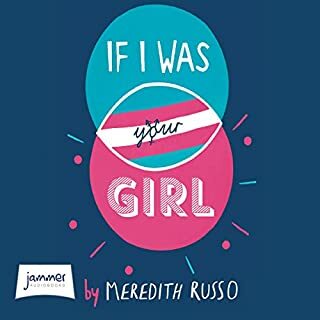 As far as the characters went, I connected with the main character, Tara, I wanted her to find out who it was, and to prove that she was right about it not being her or the person that everyone else thought it was (sorry, no spoilers here!) I was on her side the entire way through the story. The other characters were just as good. I cannot say that I didn’t like any of the characters – except maybe the creepy stalker guy! All of the characters were multi-dimensional and great to follow along with. The narrator for this book was great, she had a voice that changed well with the different characters, I wasn’t getting bored with her narration which is a big tick from me! For anyone who is a fan of mystery/suspense books, I encourage you to pick this one up as I think you will love it! Thank you for stopping by to read my review of While You Were Sleeping I hope you enjoyed it! I had been anticipating this book for the longest time. I found it on Audible and I bought it with one of my monthly credits, and it has been sitting there for a while. I finally got around to listening to it.. I wish I could give it a higher rating than just three out of five but I wasn't hooked on it. The story itself wasn't too bad, however I found myself figuring things out quickly before they were revealed in the book, especially the &amp;quot;shocking twist&amp;quot; at the end.. The narrator of this story just didn't do it for me unfortunately. She made the characters (especially the main, female character) sound a little pathetic and I just wasn't connecting with either the characters or the narrator. I know that I have managed to talk about all the negative things, but there were some good things also. The characters were dynamic and multi-dimensional and there was a good portrayal of mental illness - namely post natal depression. I enjoyed how the author spoke from both main characters, we got an overall telling of the events, rather that just from one person's angle. The writing style was enjoyable, the story flowed nicely, I didn't feel as though she went over things for too long. I am interested to hear from anyone who has read/listened to this book and has a different opinion to me? Maybe the narration just ruined it a little, but it just did not click with me, which I am disappointed about, as I was looking forward to this one a lot! 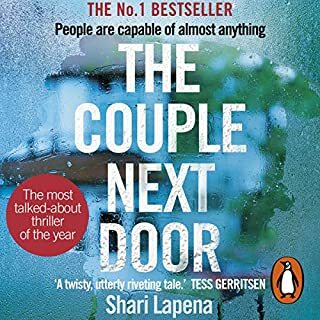 Thanks for stopping by to read my review of The Couple Next Door by Shari Lapena on audio. 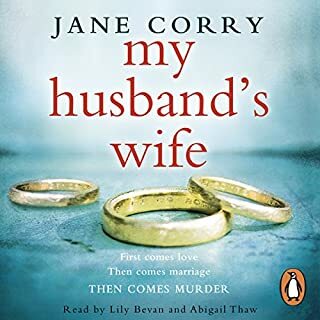 This book popped up on my Audible account as a suggestion and I liked the sound of it so thought I would give it a go. This book is told from the point of view of two characters - Lily and Carla. Lily is a lawyer who is married to Ed and Carla is the young girl who lives next door. I really connected to the character of Lily, she was a young newly-wed still trying to find her place in the world. She had been given her first criminal case - an appeal of a man who was wrongly convicted for murder, she did get a little annoying at some points, but i enjoyed her chapters more than those from Carla's point of view. I struggled to connect with Carla, as at the beginning she was an 11-year-old girl. In the second part of the book when she had grown up, I still couldn't connect with her, I just never liked her personality - but her personality made her parts of the book quite interesting and they brought the book together. There were so many twists and turns in this story, when I thought that I knew where it was going, something else came along and threw me. I loved every minute of it. There was not one character who didn't have a secret. Even when you thought you knew what they were, further along in the story, more of the secret would come to light and destroy what you thought you knew. All-in-all I enjoyed this book, it was very well planned and written. Jane Corry was able to keep us guessing and not give away more than she wanted us to know until the very end. I really liked this book. It started out a little slow but towards the end there were just so many twists and turns that you didn't see coming and they were so brilliant!! This book was really well written and performed wonderfully. I really enjoyed listening to it! 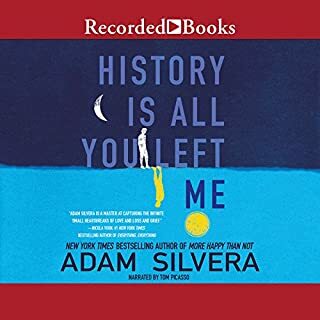 I saw this book everywhere in the online book community, so when I joined Audible I thought that I would give it a go. I will start off by saying that it took me ages to get through it, as it was roughly 17 hours of audio, with 179 chapters. Now I don’t know if the written format was that big, but wow. 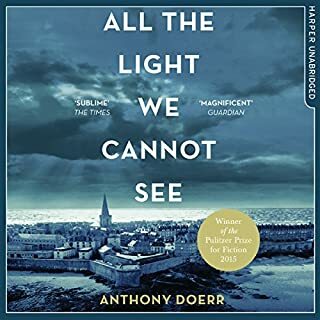 So we follow a number of different characters as the story unfolds, but the two main ones are Marie-Laure, a French girl who is blind by the age of 6 and lives with her father in Paris; and Werner, a German orphan boy. Marie-Laure’s father works at the Museum of Natural History, and when the German begin to enter Paris, her father is required to take a jewel with him that has been rumoured to be cursed and hidden in the museum for 200 years, or it could be a fake look-alike, but he is to protect it. Together they flee Paris and go to stay with Marie’s recluse great uncle to wait out the war. Meanwhile, Werner is accepted into a school for Hitler youth where after some time his ability to track radio signals is used by the army to locate illegal radio frequencies. He is sent out with a number of other men to locate these radios and confiscate them from those who are using them. This book follows the two young people through their lives in the middle of a war until they eventually come together. I enjoyed this book, even though it was long. I did think though it took quite some time to get to the point, and there were a number of things that could have maybe been left out. The book also jumped back and forward in time for the two characters, which made it a little confusing, for example, one minute Marie-Laure is in her uncle’s home with him and the next she is hiding in the attic and their town has been bombed. It slowly goes back and forward until the two timelines meet. I struggled to keep up once this began, as I didn’t really know what was happening or why. Other than the confusion, it was enjoyable and gave good insight into how different people were affected by the tortures of war.